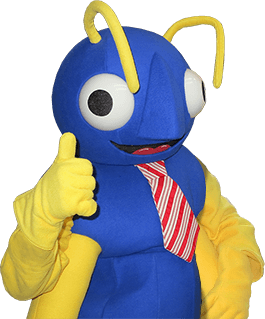 Big Blue Bug Solutions, home of the famous big blue bug Nibbles Woodaway, has provided Pawtucket and the surrounding areas with top quality commercial and residential pest control services since 1935. No matter what your pest problem is, we have the solution for you. If you have small, black ants in the kitchen or are being overrun with mice, contact Big Blue Bug Solutions today. To keep your Pawtucket commercial facility pest free or to schedule an inspection, contact us today. If you are in need of a Pawtucket exterminator or would like more information on the pests covered under the Home Owners Plan, contact Big Blue Bug Solutions today. At Big Blue Bug Solutions, we offer termite solutions for homes and businesses in Pawtucket. For more information on the termite control plans available, contact us today. Bed bugs are capable of traveling on nearly any surface and can find their way into homes or businesses by hitching a ride on luggage, clothes and even people. These blood sucking insects are nearly impossible to eliminate without the help of a professional. If you live or work in Pawtucket and need help getting rid of bed bugs, contact the experts at Big Blue Bug Solutions today. With our bed bug control we are ready to help you with your bed bug problem, no matter how severe. Your service man, Marc, came to our house and was as kind and efficient and professional as one could ever expect. We appreciated so much his caring for our problem, and I wanted you to know how much we appreciated this. I hope that someone in your organization will pat him on the back for us." I just hung up the phone with Ana. Nathan, one of your inspectors, has been out here previously and my fiancee said he was awesome, going above and beyond to help us out with our initial problem (including putting in a glass window to our basement that was not in place). There seems to still be an issue so I have called back again today. We are having an issue with mice and now flies! I described what was going on and let Ana know that the only day we would be here is Friday. She asked me to…"